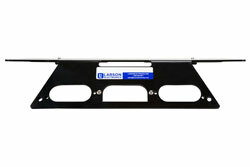 Gifts For Men → 2004 Ford F150 No Drill Mounting Plate - 3rd Brake Light High Mount - Magnetic Plate - 24" x 8"
The MMP-F150-2004 from Larson Electronics is a No Drill Steel Magnetic Mounting Plate for any light with a magnetic mounting base, including spotlights, flood lights, strobe lights, beacons, warning lights, signal lights, flashers, turn signals, brake lights, hunting lights, fishing lights, off-roading lights and so on. 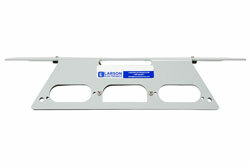 This lightweight mounting plate requires absolutely no drilling to install and can support lights of up to 20 lbs. 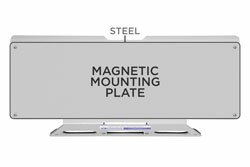 The MMP-F150-2004 features a 24" by 8" magnetic mounting surface, is compatible with 2004 Ford F-150 steel body pickup trucks and offers operators a convenient mounting location for any magnetic light and for applications including hunting, fishing, off-roading and security. 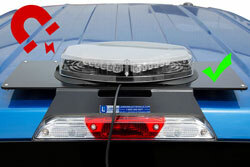 Installation: The MMP-F150-2004 is easy to install and requires absolutely NO drilling. 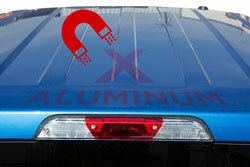 This magnetic mounting plate installs via the 3rd brake light on 2004 model year Ford F150 pickup trucks between the body of the truck cab and the light. Operators simply remove their 3rd brake light, position the mounting plate bracket and reinstall the light through the bracket. 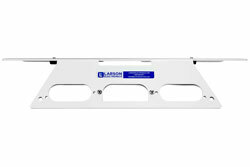 Having a reverse camera in the 3rd brake light (NOT in the tailgate or bumper) will change the mounting bracket design. Those with a camera must choose the "camera" option in order to get the correct design. Please choose the appropriate option below. 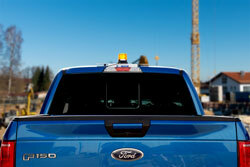 Applications: Hunting, fishing, off-roading, property management, security, search and rescue, farming operations and any other applications for which a roof mounted spotlight is needed for 2004 model year Ford F150 steel body truck owners.